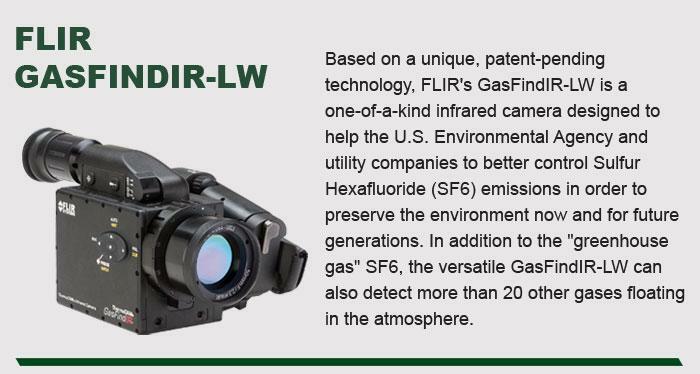 For more information on the FLIR GASFINDIR-LW, click here. 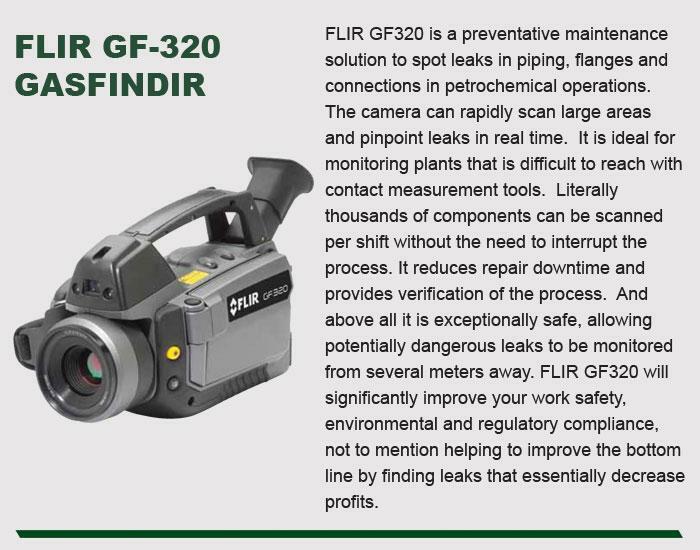 For more information on the FLIR GF-320 GASFINDIR, click here. 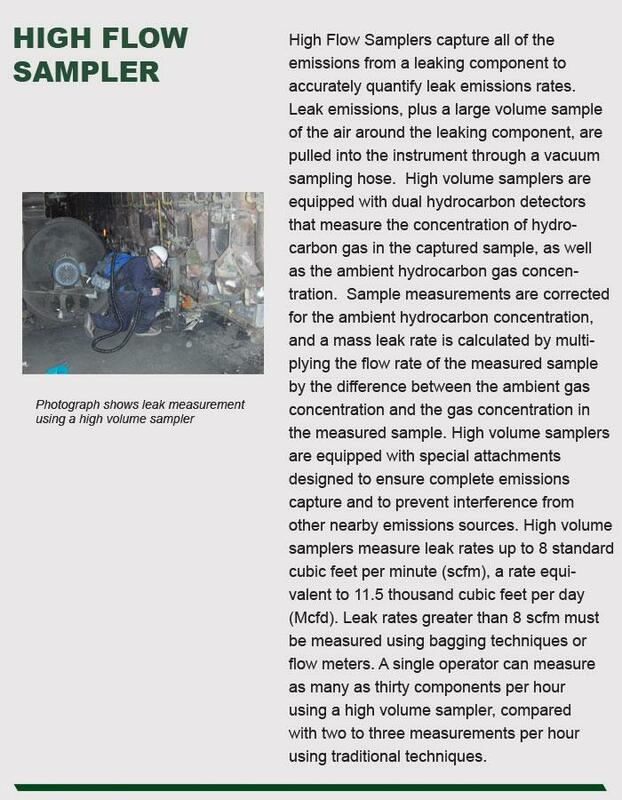 For more information on the High Flow Sampler, click here. 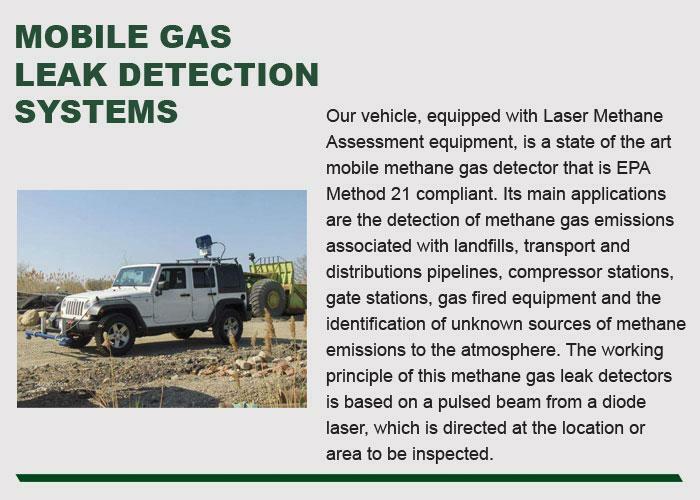 For more information on Mobile Gas Leak Detection, click here. 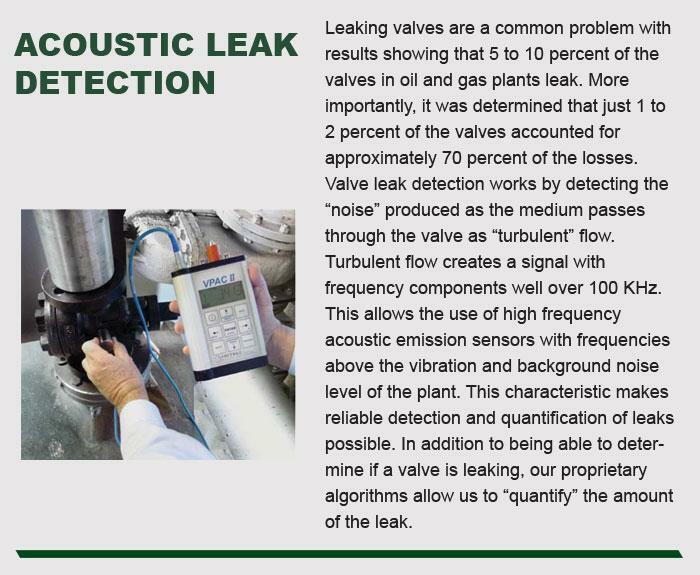 For more information on the VPAC Acoustic Leak Detection, click here.